Hmm. Tholi and November haven’t strangled each other yet. I can’t be the only one waiting for the other shoe to drop, right? My money’s on November being the first Silver Huntress in a good long while. What would the chances of Mel running into Keshiri be … and what could possibly go wrong? *coughs* Most curious though about Xyraadi meeting the elder Arquin. Can someone remind me where Melaxyna’s pre-succubus life story is? *If* she told Toby the truth, and we have no concrete reason to doubt it, she was a priestess of Izara during one of the hellwars. She watched as here town was slowly dismantled either by raiding demons or by those fighting the demons in support of the war effort. All the while Izara would only let her call on the light to heal, never to even drive the demons away, much less harm them. She received a divine smiting when she tried to hold a knife on a Hand of Avei and demand that the town be protected. *snicker* Of course, because ill-defined, inadequately planned, spiteful pre-venge on a goddess for cursing her with awesome is a sane and competent thing to do. Doing so using primarily what that goddess gave to her is already so very sane and competent even if you don’t have specific knowledge of what magic is and know that you inherently build a log of everything you do when you use magic. Going on to recruit traitors whose loyalty and trustworthiness you need to rely on is similarly sane and competent. Doing that instead of asking Tellwyrn for advice on how to find and achieve a life worth living, or search out good advice on that topic from other people, was such a great idea. What point is there to questioning Natchua’s judgment or competence? By the odds, something this improbable should fizzle out and foil itself before it ever manages to rise to the level of Elilial’s notice: That already almost happened at least the once with Malivette spotting the new guests at the Leduc ruin. However, there is a bored, literal god of storytelling in this world. In his place, and with that motivation, I would put my hands on the scales heavily and repeatedly just in the hope of seeing something truly unexpected. Girl, you piss off that entire bar by underestimating Mortimer Agasti, you can’t say you weren’t warned. I’m fairly sure Vesk has tried to drop several hints, given how your quest has thus far gone. Anyone else notice how Jonathan did comment almost the same thing the Jackal did? How they end up in this beautiful city but immediately go underground? 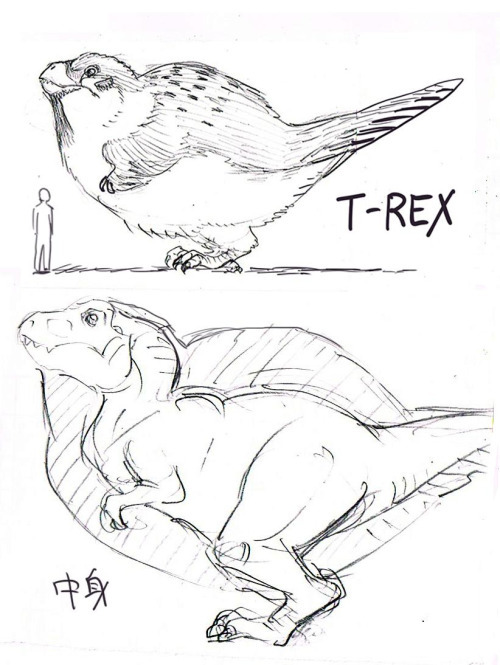 Now I would not describe T-Rex as looking like an ostrich or a giant bird at all. Is that the closest comparison they have? Dinosaur with feathers! All that fluff! Best T-Rex ever! Sooo, the Golden Sea is a bit like Jurassic Park? It’s not clear whether they had a coat of feathers all over. Just like elephants don’t have a lot of hair despite being mammals, they just wouldn’t need it. Tyrannosaurs did at the very least have a crest of alternating light and dark – possibly black and white – feathers though. Oh come on. I do NOT for one minute believe that Ingvar would call a honey badger a *rodent*. Where’s that whole “understanding the natural world” thing? They’re giant weasels, not giant rodents. Sheesh. All badgers are pretty badass, even those elegant-looking British ones. Um – weasels are from the rodent family. Ingvar is correct in this instance. It’s really easy to tell the difference between mustelids and rodents. Just look at the teeth… both orders have unique dentition that makes identification easy. Mustelids have typical carnivore dentition with small delicate incisors, prominent canines, and sharp triangular carnssials. They also have sharp molars and distinctively the final upper pair is rotated 90 degrees to the rest of the teeth. Rodent dentition is unique to the order with large and typically dense incisors and a long gap between them and round molars similar to humans or herbivores. Both you and Ingvar are mistaken, sorry. I’ve been really grappling with writer’s block and what feels like incipient burnout. I’ve been trying all day to make progress on tonight’s chapter and I’ve got nothing; at this point I’m starting to feel like it’s just not gonna be there in time. I am not yet ready to give up on it, and sometimes pushing through will break the block and it all comes pouring out in a rush, so…maybe. But this is fair warning up front, Wednesday’s chapter might end up being pushed back or skipped if I can’t get my headspace organized. In the meantime, and just so you all aren’t left with nothing, I’m gonna go ahead and formally announce my side project, which is up and readable. I was planning to wait until there were at least three chapters posted, but at the rate it’s progressing that seems likely to be a month. It’s, I emphasize, a side project and will be on no set schedule as TGAB will continue to be my priority, but if you’d like to go ahead and start following, check it out at netherstar.net. Looking forward to Netherstar! And dang, that’s a nice cover. Saffron really wishes she had Yuuno Scrya’s com address. Instead she appears to have IPC’s or Atlas. Now to see if she can avoid the Marcus Scarman Award. I think I’m gonna wait a few months and come back when there’s a bit of a buffer built up. I understand how difficult it is to write under a deadline, but excitedly waiting only to be disappointed so often, it’s hard not to have that take a bunch of the enthusiasm right out of you. And this is one of my favorite stories. I’d rather that not happen.